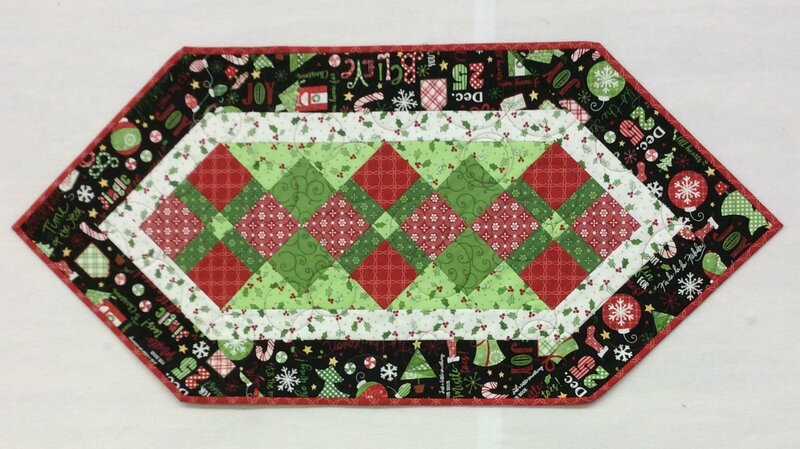 The Jingle All The Way kit includes the pattern and makes a 17" x 38" table runner using Kimberbell Fabric Collections from Maywood Studio. You can choose a white or black outer border. 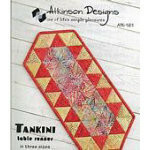 The little runner featured in the fourth photograph was made using leftover fabrics from the kit and the Tankini pattern.